As I get closer to the weekend, a good old blast of punk it just what I need. After all, this blog is the only thing that's really keeping me motivated right now. 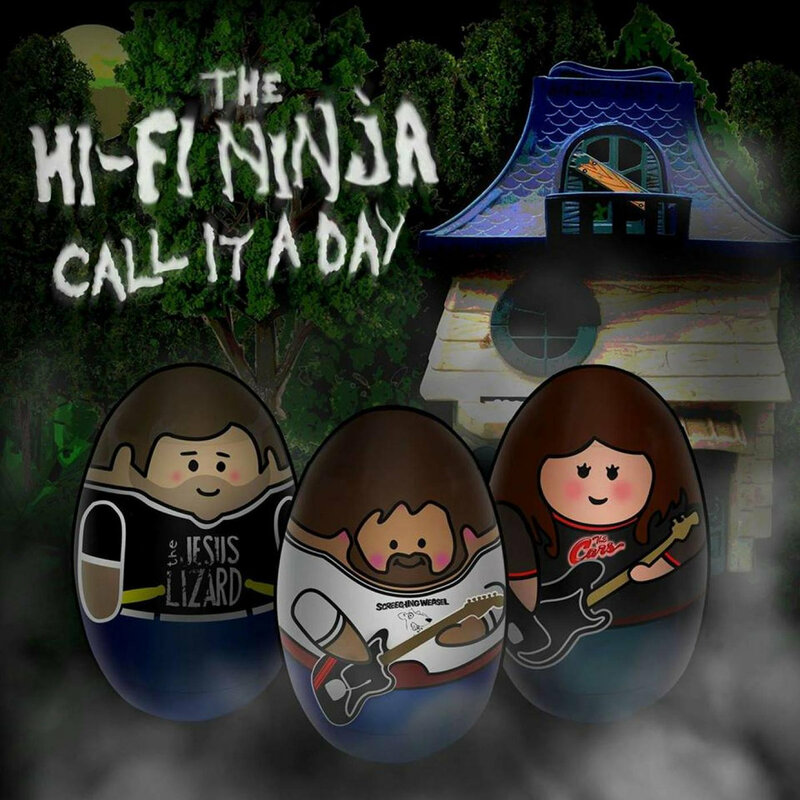 It's been a little over a year since I review The HI-Fi Ninja's last record "Take It To The Grave" and the Paducah, KY trio recently contacted me again about their new latest one, "Call It A Day". 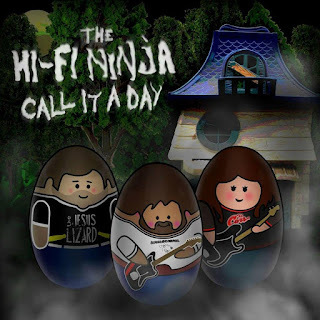 The Hi-Fi Ninja have certainly been busy since their last album too, in between writing and recording "Call It A Day" they've been playing loads of local shows and self-promoting like crazy. There are some bands I can think of that could do with following their lead when it comes to work ethic, that's for sure! Puncture Wound is loud, raucous rock n roll fuelled punk with a high tempo. Their sound is still raw and real thanks to simple but danceable riffs, clean and semi-screamed vox and punchy bass/percussion. There’s no time to waste either as they fly through the five songs on “Call It A Day”. Fed Up includes some great bluesy riffs and more in-your-face lead guitar, to add more to their locker. The title-track’s verses sound scuzzy and dirty in their stripped back state, giving the chorus sections even more impact. The urgency of Hurts You The Most is even more noticeable after the positively excessive title-track (in HI-Fi Ninja terms anyway!). Just over a minute-and-a-half of catchy punk rock. This five-tracker is over before you know it and closing song Ego To Blame features a really hummable main riff and vocals that are delivered at quite a volume. That goes for the rest of the record as well. The Hi-Fi Ninja’s brand of punk hasn’t been watered down since “Take It To Your Grave” thankfully. It’s got louder and catchier. A pretty good combination.